Summer is around the corner and if you are anything like me, your probably craving an escape and reboot. Whether you think you deserve a break or not, I am here to tell you “YES!” everyone deserves and needs to unplug mentally, physically, and emotionally in order to be our best selves and to avoid hitting total burnout. Just when I started think about what I was going to do for MYSELF and MY SOUL this Summer, my dear friend Maria Alfieris, owner of Magical Hands Physical Therapy called me with an offer that I JUMPED on immediately. 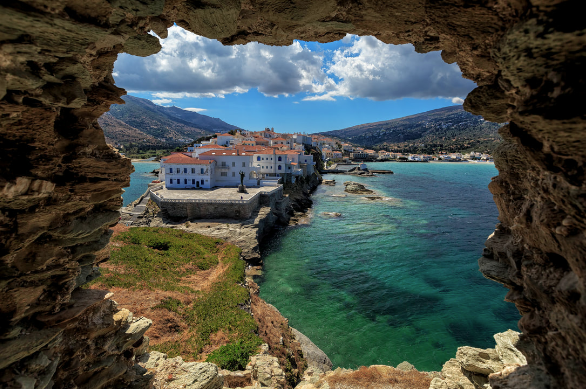 This June, June 1st – 7th, Maria is hosting a magical retreat in ​Andros, the quintessential Greek island, which is sophisticated yet rustic, mountainous yet beach-lined, and nautical yet agricultural. The island is rich in spring waters, green lush, and fertile lined with gorgeous rugged mountains. The hillsides are terraced with scattered farmsteads, orchards and vineyards….oranges, lemons, figs, grapes, and olives all proliferate….I can smell all the delicious scents now! 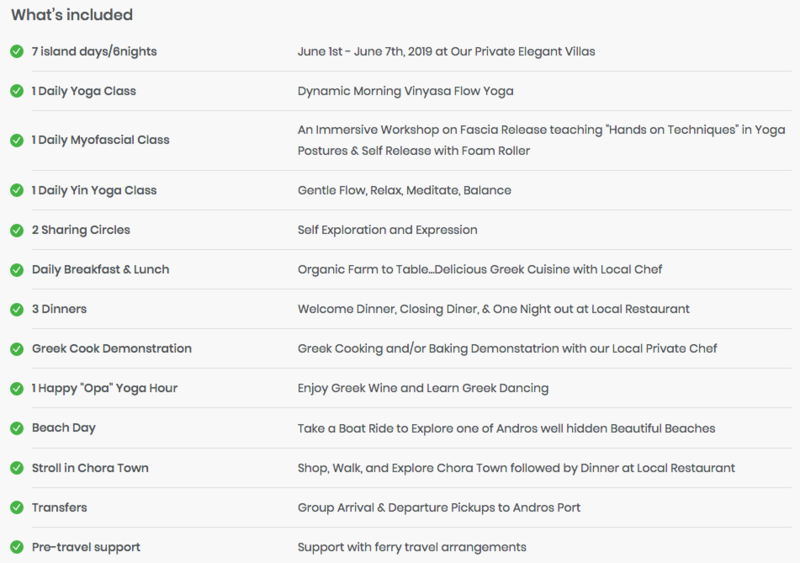 This Eco-friendly retreat is a feast for Yogi’s and those looking to have a transformative energizing getaway full of a dynamic Vinyasa flow yoga, Myofascial & Self Release workshops, replenishing time in nature, tasty farm to table cuisine, and a community of travelers all called to revive and replenish their souls on this charming island. Allow yourself to discover your true power of healing and transformation combined with lazy beach days, sacred monasteries, downtown strolls, and soul-reviving hiking trips where you can to unwind and let yourself simply be. Sounds like a dream right? 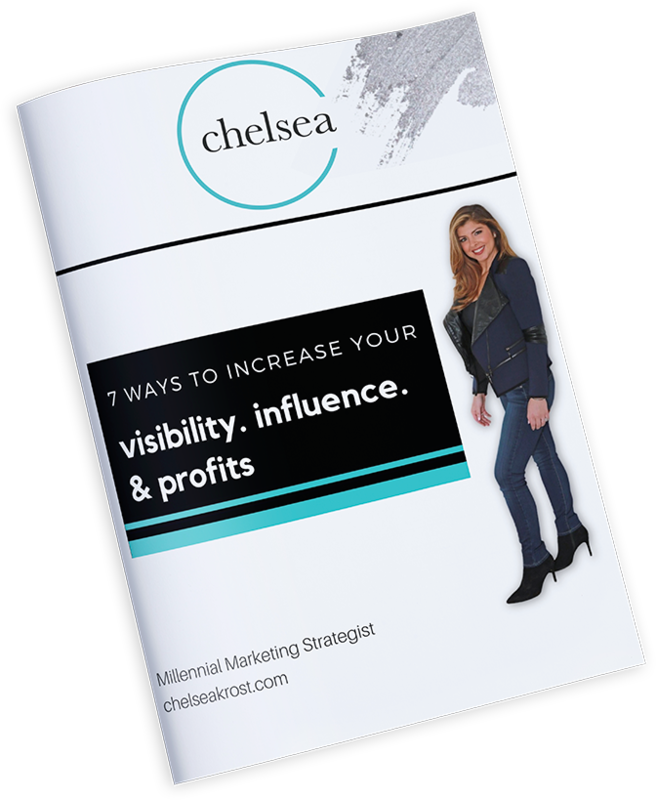 As business owners, entrepreneurs, and movers & shakers we are always investing in our brand, our businesses, our staff, or our friends/family… but what about investing in yourself? 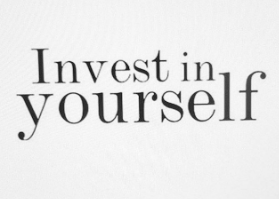 Choose to become a priority in your life because you are the engine to your wealth and nothing else. Join me this Summer in Greece to decompress and fuel the mind, body, and soul to transform and revitalize your energy. Alright, you’re probably asking how much this magical retreat is? For Single Occupancy Villa: $2,500 with a $500 discount if you sign up under me. For Double Occupancy Villa: $1,900 with a $250 discount if you sign up under me. The beautifully Greek designed villas, are nestled on the mountains and have a panoramic view of the magnificent blue Aegean sea. They are located in the peaceful area of the Greek isle of Andros, near the capitol of Chora. ​Every room has simple, elegant decor and everything at our villas is aimed to enhance the culture and natural beauty of Andros. No two rooms are the same and all are booked on a first come first serve basis. please call or email Maria directly, she is eager to share more with you! 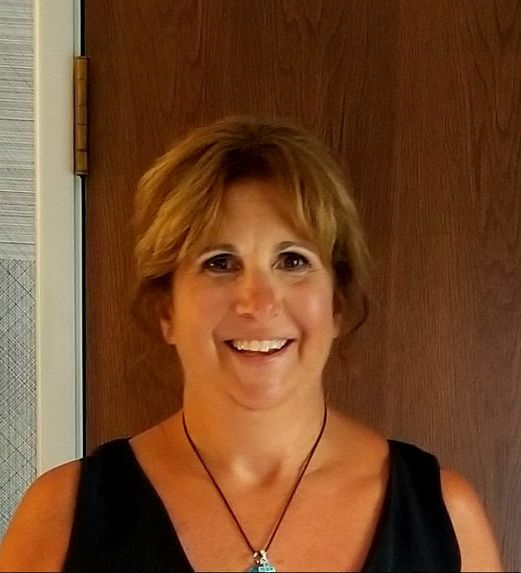 Maria Alfieris, who loves to return to her Greek Roots, is a masterful teacher and powerful leader with a joyous spirit and open heart. She builds community and connection wherever she goes. She sees the best in her students and creates the space for them to see it too. Maria is down to earth and her humor sets the stage for easy learning. Her students trust her and take their learnings off of their mat and into their LIFE.